Kybella works immediately upon injection to kill fat cells. Your body will do its job at removing the cells over a course of 6-8 weeks. According to a 2015 survey by the American Society for Dermatologic Surgery (ASDS), 67% of consumers are bothered by submental fullness—nearly as many as those bothered by lines and wrinkles around the eyes (69%). Set up a free consultation with Trish Draper, RN or Michelle Boice, MD (the first and only injectors in the Joplin area trained to administer Kybella) for more information. Botox cosmetic is a protein injected in a simple, non-surgical procedure temporarily improving the appearance of moderate to severe wrinkles for ages 18-65. Discover the proven results that over 11 million men and woman have experienced. We have saved our clients over $80,055.00 for our clients with Brilliant Distinctions rewards. Frown lines form when facial expressions are made as the muscle under the skin contracts. Over time, as your skin ages, these repeated expressions cause lasting frown lines. Neurotoxins, such as XEOMIN®, are prescription medications that block the release of chemicals that cause these muscle contractions. So frown lines are softened. Juvederm XC is an injectable gel and the same as the Juvederm Ultra and Juvederm Ultra Plus with the exception that it is mixed with Lidocaine for your comfort. This numbs the area during your injection and makes your procedure much more comfortable. 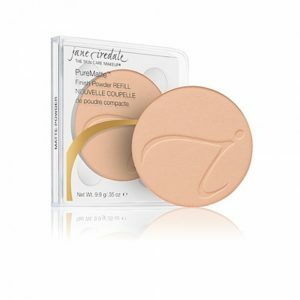 Indicated for moderate to severe facial wrinkles and folds. Also, a great choice for Lip Augmentation! Radiesse is dermal filler that goes beyond filling and correcting facial wrinkles and folds, it can restore facial volume. Radiesse stimulates the body to produce new collagen and provides natural looking, long lasting results. Your best choice to enhance cheeks, temples, hands, and more! Products in the Restylane family add volume and fullness to the skin to correct moderate to severe facial wrinkles and folds, such as the lines from your nose to the corners of your mouth (nasolabial folds). Restylane, Restylane-L or Restylane® Silk can also add fullness and definition to lips in patients over 21 years, providing natural-looking results with just one treatment. Discover anti-aging for the modern age! Sculptra provides progressive results that produce a gradual natural look. Sculptra Aesthetic is administered in a series of treatment sessions. On average, three treatment sessions are needed over a few months, but we will tailor the sessions to best suit your skin and your desired outcome. It is important to return for all treatment sessions as instructed in order to get the maximum effect from the gradual process of collagen replacement offered by Sculptra Aesthetic. Results can last up to 2 years! If you want an injectable wrinkle filler that provides long lasting wrinkle correction, then schedule a free consult for Bellafill. If you have used temporary wrinkle fillers in the past, then you know that they are eventually absorbed by your body and require frequent repeat injections to maintain the results you’ve come to love. Bellafill is different from temporary injectable wrinkle fillers. The unique microspheres in Bellafill are not absorbed by the body and provide the support your skin needs for natural, long lasting results. You deserve the confidence in knowing your injectable wrinkle filler will provide long-lasting results. You deserve Bellafill—the long lasting solution to wrinkle correction. The New Dermal Filler for very fine lines and wrinkles. Belotera from Merz Aesthetics the same manufacturer of Radiesse is a terrific alternative for very fine lines. 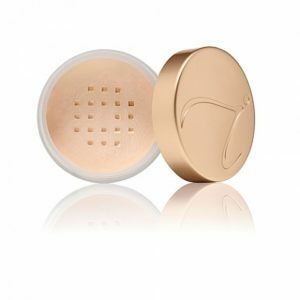 This product is indicated for Smile Lines, Vertical Lip Lines, Corners of the mouth, Marionette Lines or Chin Wrinkles. Replace lost volume due to the aging process and restore your own youthful appearance! Typical results last 3-6 months. Ready to reveal your most radiant self? Then it’s time to schedule your Botox & Fillers consultation at Derma-Tech Medical Spa in Joplin, Missouri today. You can fill out the contact form on this page or give us a call at (417) 206-4884. You can also browse our online skincare shop and we’ll ship directly to your door! Serving the greater Southwest Missouri area.